When you’ve been hurt by another’s careless actions, you need a highly skilled personal injury attorney who will work hard to protect your rights. At Ellis Law, our award-winning legal team is dedicated to helping victims rebuild their lives. Leveraging nearly three decades of litigation experience, our lawyers have the resources and expertise to handle the most complex cases, helping victims gain the best possible outcome. San Bernardino Personal Injury Attorney- Andrew L. Ellis Andy Ellis is one of the most successful Personal Injury Lawyers in California. Meet Mr. Ellis and find out how he helps his clients who have a personal injury case. http://ellisinjurylaw.com. We know that catastrophic accidents can happen in the blink of an eye. You’re sideswiped by another car and roll into a ditch. You fall from construction scaffolding. Your sister slips on stairs the landlord has been meaning to repair for months. A motorized toy catches on fire in the living room. A truck veers into your lane due to bad brakes and long shifts. Labor and delivery of a baby, which should be routine and joyful, goes wrong. In all of these cases, someone else’s negligence caused harm to you or a loved one. We understand and are poised to help. When you need aggressive and effective representation, you can rely on us. Put our experience and talent to work for you. For a complimentary case review, you can contact our San Bernardino office, or any one of our 20 law firm locations throughout California. When you come to our law office to discuss your injury, we carefully review all the factors surrounding the accident and provide you with an honest assessment. 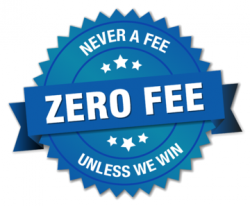 If our lawyers feel you have a viable case, we offer our services on a contingency fee basis, meaning there are no upfront costs or fees unless we recover money damages on your behalf. Not only do we have full confidence in our ability to secure victory for our clients, we understand the hardships placed on personal injury victims, and believe that cost should never prevent the injured from receiving superior legal representation. Over the past 25 plus years, our firm has built a robust practice focused on the unique needs of our clients, providing skilled advocacy to the injured throughout Southern California. From minor injuries to debilitating loss, our lawyers have achieved exceptional results in a wide variety of cases. Whether you sustained third-degree burns in a workplace accident, were in a near-fatal motorcycle crash, or have a loved one who was abused in a nursing facility, you need a veteran law firm that has a proven track record of significant case results. Ellis Law is not only passionate about the people we serve in the Inland Empire, we work tirelessly every day to assure our clients get the compensation and justice they deserve. With dozens of firms in California, why should you partner with Ellis Law? For starters, we believe that personalized attention and open communication are vital to building a strong and rewarding client-attorney relationship. This client-focused approach combined with our impressive list of multi-million dollar verdicts and settlements have positioned Ellis Law among the nation’s top-rated law firms. Rated by U.S. News as one of the “best law firms,” Ellis Law is composed of extraordinary attorneys who are graduates of the nation’s most esteemed universities. They will listen to your case with the attention and compassion it deserves, and develop sound strategies for achieving maximum legal recovery. With more than $350 million won on behalf of our clients, Ellis Injury Law provides award-winning representation for clients throughout San Bernardino and Southern California. Our attorneys have a 99% track record of success when we accept a client’s case. Ellis Law attorneys have successfully represented clients throughout California in a broad range of complex claims involving catastrophic and life-altering injury. We are joined by a network of experienced private investigators, medical specialists and economic loss professionals, who collaborate to build a compelling claim for damages. This is especially important in personal injury law because the cases depend heavily on factual analysis of all the elements involved. Andy Ellis is renowned as a top-tier trial attorney and for his ability to triumph in the most challenging of cases—even those concerning multiple liable parties. His tenacious advocacy and consistent courtroom victories are an invaluable asset to clients. With Ellis Law Firm in your corner, you will never be forced into taking a lesser settlement than you deserve, as insurance companies know that Andy Ellis has the skills to fight the case in court and succeed. For dedicated representation at no upfront cost, you rely on Ellis Law to ensure that justice is served. Car Accident in San Bernardino? Don’t Wait to Call Our Firm! There were more than 7,000 injuries and fatalities caused by car accidents last year in our local area alone. That’s almost 19 injuries or fatalities every day. If you were harmed in a serious motor vehicle accident, there is so much at stake. From whiplash and broken bones, to more permanent injuries, victims are not equipped to handle legal challenges or insurance adjustors on their own. Our car accident attorneys work closely with clients to develop a thorough understanding of the full impact of your injuries, pain and emotional suffering. We collaborate with medical professionals and crash reconstructionists, along with industry experts we can call on for expert testimony about the present and long-term medical needs of our clients. Ellis Law has championed the rights of clients injured by negligent motorists, as well as those harmed by defective vehicle parts. When another party’s misconduct or poor decisions cause serious injury or death, you need an aggressive advocate who specializes in car accident litigation. For a free consultation about your car accident case, you can reach Ellis Law 24/7. How Much Money Will My Personal Injury Case Settle For? Ellis Law has the knowledge and skills to help clients secure maximum compensation for their losses. Even if you feel you were partly to blame for the accident, you may still be eligible for monetary damages. One of the first and most pressing questions posed by clients is “how much is my case worth?” Any attorney who estimates the value of your settlement on the first meeting is being disingenuous. Every claim is unique, and many variables will affect the amount of damages awarded in a settlement or verdict. Do I Still Have Time to File a Personal Injury Lawsuit in California? In California, the statutes of limitation allow plaintiffs up to two years to pursue legal action and bring a claim for damages. The clock starts ticking on the date of the injury event. This time limit may be shorter if the defendant includes a state, county or federal government entity. Once the statute expires, California plaintiffs may no longer sue, thus losing their right to seek reparations. Most of these cases, including those involving car accidents, settle before going to trial. The time it takes to negotiate a fair settlement will hinge on three major factors: if liability is contested, if both parties agree on the damage amount, and if multiple defendants are listed. We always advise clients to be as patient as possible, as a premature insurance settlement will not account for the full consequences of your injuries and losses. Once clients are fully recovered, medically stable, and all financial losses tallied, you’re in a better position to enter final settlement talks, or prime the case for trial. Whether your injury claim takes two months or two years to successfully resolve, the attorneys of Ellis Law will be fighting every step of the way for just compensation. Time and again, we have prevailed in complex injury claims, helping clients on their way to a full recovery. We make sure our clients are well-informed on all aspects of their case, and have the talent and drive to face-off against insurance companies and corporate giants. Let us protect your rights, call our attorneys today. Southern California’s Inland Empire is full of hard working people. From the beautiful Santa Ana mountains to iconic Route 66, it’s a dynamic community and a magnet for people who want to pursue the American Dream. Those people deserve protection and restitution when things go wrong. Ellis Injury Law is a full-service law firm serving residents throughout the Inland Empire, including Cucamonga Valley, Pomona Valley, Chino Valley and denizens of San Bernardino and Riverside Counties. Our law office is close to I-10 and I-215 interchange, located on 473 E. Carnegie Drive. Ellis Law attorneys have a deep connection with local community, and are proud to give back through fundraising events, public outreach programs and providing scholarship awards that help encourage diversity within the legal profession. To schedule a free consultation with a personal injury lawyer at Ellis Injury Law, we invite you to contact our San Bernardino location today!